Bozo Petrov, the head or the front-man of Croatia’s new reformist political group Bridge/ (“MOST” in Croatian language), which is likely to hold the balance of power in forming a new government as it won 19 seats on 8 November and neither of the two big parties with coalitions won enough to form government, said last Wednesday 11 November 2015 Bridge/ MOST wanted a government of national unity that included itself and the two major parties (Croatian Democratic Union/HDZ and Social Democratic Party/SDP), the governing centre-left and the opposition centre-right coalitions. So, after gaining a possibly pivotal position that could make or break the government of Croatia the members of the Bridge of Independent Lists, MOST, appeared to have grown wings of inflated egos and began calling the shots and dictating, including that neither Tomislav Karamarko (leader of centre-right) or Zoran Milanovic (leader of centre-left) should become the next Prime Minister of Croatia but that MOST will have the decisive say as to who should be the next Prime Minister. Furthermore the sudden fame seemed to have affected one of the Bridge/MOST prominent leaders, Drago Prgomet, in a destructive way so much so that he was caught meeting in secret with leader of centre-left Zoran Milanovic and Ante Kotromanovic (minister of defence in outgoing government) supposedly attempting to negotiate “private” deals MOST may want if it went with SDP to form government! Prgomet was swiftly booted out of the Bridge group and I am actually glad for that because his actions demonstrate a lack of political responsibility for the nation and a still-present repulsive inclination to act on personal friendship level rather than with professional distance at critical times such as these. Many of the political analysts in Croatia say a government of national unity, including such traditional rivals as the SDP and HDZ, will not work. Tomislav Karamarko refused the coalition for a national government idea, saying that it was “not a good idea” to include the SDP in any future government after it ruined the economy. Zoran Milanovic also refused the idea and SDP rejected any such coalition for government that would include SDP and where he would not be the Prime Minister. Governments of national unity are seen these days in countries of war and unrest and they occurred in the past in various countries in times of war but in days of democracy or when democratic processes should be working well and seen to be working suggesting a government of national unity is a backward step for democracy and for the inherent weight of decision making and political choice and competition within it. Croatia did form a national unity government in 1991 under Prime Minister Franjo Greguric in response to the outbreak of Serb led aggression against Croatia and the Croatian War of Independence. Even though the cabinet included ministers from minority parties, all heads of ministries were either from the majority Croatian Democratic Union/HDZ or soon defected to it; but of course it’s difficult to imagine the composition of such national government could have been different for HDZ was a politically sweeping popular movement and the left-sided League of Communists and their political allies did not want an independent and democratic Croatia in the first place. But when the war situation stabilitised on the battlefields that national unity government was dissolved and new elections held in August 1992. So Bridge/MOST group would want us to think that Croatia is in a crisis of similar intensity and threat as it was in 1991 and that national unity government is essential in order to move forward. According to the Croatian news agency HINA, A professor of economics and member of the Bridge coalition of independent candidates, Ivan Lovrinovic, said on Friday 13 November that Croatia only had the year 2016 to make significant changes in its economic policy and a radical turnaround in reforms, otherwise it risked bankruptcy. If no radical reforms are launched next year in the monetary and tax systems, the judiciary, public administration and public companies, the system will collapse and Croatia will have a situation similar to that in Greece, Lovrinovic said. 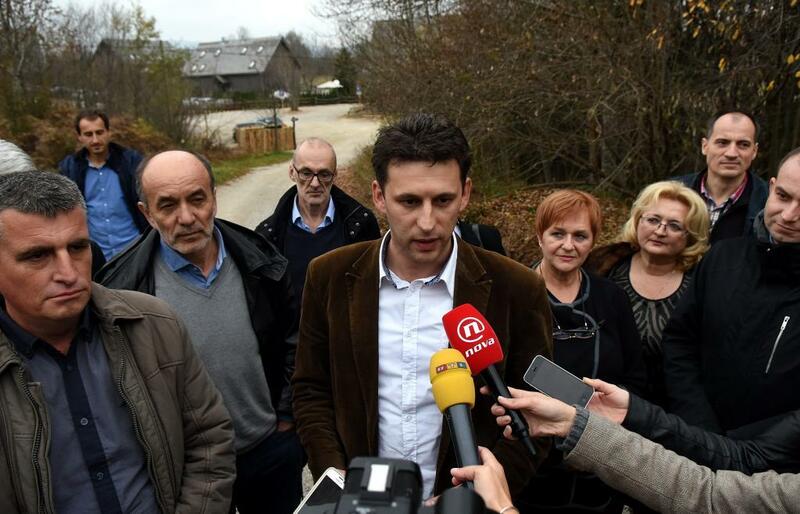 Members of Bridge/MOST met on Saturday 14 November 2015 in the Ethno Houses Village at Plitvice National Park presumably to align a united front – after the embarrassing ousting of Prgomet during the week – ahead of meeting with both centre-right HDZ and centre-left SDP coalitions with view to forming the new government in Croatia. Asked on Saturday 14 November at the Ethno Houses Village whether Bridge/Most will continue insisting on a government of national unity for Croatia or move ahead by negotiating individually with each of the two big political coalitions (centre-right and centre-left) Bozo Petrov replied that Bridge continues with “same consistency” vis-à-vis the need for reforms while others called for “an absolutely different program, and today they are absolutely for reforms”. “That pleases us, just as we are pleased that the voters have shown how much they care for reforms…For the general well-being it’s very important that we have a two-thirds majority, because voting for some reforms will require constitutional changes,” said Petrov. Two thirds of the 151-seat parliament equals 100.3 seats! So even if Petrov did avoid answering the question put to him by journalists one can conclude that Bridge is still after a government of national unity as with current election results it is impossible achieving a two-thirds majority by striking a deal with only one of the two possible large sides (HDZ or SDP). While reforms are necessary for Croatia, concepts such as “crossing the floor” to vote in parliament (for or against matters on agenda) may be alien to the seemingly and relatively young politicians and inexperienced democratic parliamentarians such as Petrov and members of the Bridge/MOST? Perhaps negotiating and lobbying to achieve a greater goal for the nation are skills a tad or two foreign to Croatian democratic thought and practice – in general? It’s difficult to interpret MOST’s insistence on two-thirds majority government in any other way – they should know that securing two-thirds of parliament seats for a government does not necessarily secure the success of voting for reforms within the parliament. One thing also niggles: given that Bridge/MOST group had campaigned in their election campaign against the Zoran Milanovic SDP government, on the premise that it had proven an incompetent government which destroyed and devastated the Croatian economy, why would the same group now want to seek that the same Social Democrat/SDP politicians are taken into a new government whose main task would be to work on reforms that would lift up the economy away from the threatening bankruptcy!? Petrov had said that Bridge/MOST would be talking to HDZ and SDP during the coming week. It seems to me that Bridge/MOST or rather some of its members who have been elected have bitten off the needed-reforms cake more than they can chew, as it seems clear that coming up with strategies for achieving the needed reforms are not within the items of their strengths. the SDP over 4 years failed to fix it. Neither one of these parties has the character/integrity to lead. Petrov and MOST might be inexperienced but I trust their integrity more than I trust the experienced but lacking in integrity of the SDP & HDZ. In business the new philosophy is to hire for character and train for skill. Maybe we need the same philosophy in politics. I place much more blame on HDZ than I do on SDP. I expected good from HDZ but they did nothing good. Your view Zeljko, but I totally disagree with you re HDZ government – they led Croatia into a superb victory out of genocidal Serb aggression and war that actually ended in late 1998. HDZ did not win the war. It was the people that fought on the battlegrounds that won the war. How many of the present HDZ politicians are veterans? Just because they were the government during the war more than 20 years ago does not give them a “get out of jail” card and blind loyalty for the next century. HDZ needs to prove their loyalty to the people each and every year. If they do that then they will have the support of the people. If HDZ wants to succeed in the future it needs a new leader. Clearly, Karamarko is not a “leader” the people want. Precisely. They bit off more than they can chew. Now they have Prgomet and Petrina stuck between their teeth and no floss. I know of Prgomet and do not trust him. Can you tell us about Petrina? the way I see it is that Europe is more divided than ever trying to decide which way to turn and in so doing moving in all directions hoping that one path will somehow cover the tracks of all the other paths that led to destruction. It doesn’t matter what Europe wants to do. We can be better than Europe if we want to be. Leadership means that we set our own path. We have our own vision of the “home” we want to live in. I think all that changed on Friday — the day when somewhere in hell Osama bin Laden landed a jet on an aircraft carrier with a sign reading “Mission Accomplished.” It took a lot longer than he expected for the full fledged war to begin but I believe the first shot in that war began in Paris. I say that because of the millions of US made refugees pouring into Europe, and of course the thousands of Jihadists amongst that crowd. Capitalism relies heavily upon the movement of commodities. That was really what was behind the Israeli slaughter of all those Palestinians. No one was getting killed in Israel, but their economy was being hurt by people running to shelters to avoid the slim chance that one of Hamas’s non-exploding junk rockets might land in such a way that an injury might occur. Slim chance, but best to be safe. The retaliation was horrific. 50 days of hellish slaughter, mostly of women and children. And the US rearmed them after they ran out of ammunition. I’m deeply ashamed. What happened in Paris was miniscule. Some countries don’t deserve to exist. It’s as if God has released some rather nasty demons from hell, and a lot of innocent people are going to be suffering as they did in Iraq. Every other day, there was a bombing. And abductions/demented torture/ and the displaying of the bodies. Now that’s terror. And it’s headed our way. Or, rather, into Europe. Ina in Australia and me in the US are relatively safe. Populist politicians scare me. Loud and unrealistic demands, from any camp, seem to resonate too well with some voters and they discrupt actual political action. I hope Bridge/Most come off this path soon. Ina your comments to Zeljko are bang on. Yes, HDZ screwed up, no one is denying this, but SDP is basically a reincarnation of the old Communist party that killed and jailed thousands. SDP is the most virulent anti-Croatian, anti-Catholic, anti-veteran…. party ever. What Zeljko and others do not address is the thievery on a mass scale from the 1950s onwards. What happened to all the billions in foreign aid slated for then Yugoslavia under the dictator Tito? HDZ did not bring in so-called privatization, Markovic did. The economy collapsed before the 1990s and to top it off, even though Belgrade was ‘in charge’ Croatia and other republics were saddled with billions in debt. Like I said, no one seems to flinch or mention the highway robbery before the 1990 elections. What that HDZ puke Sanader did is a drop in the bucket. What the Yugoslav government did financially, along with crimes against its own citizens and dissidents, mass graves….. is actually worse! Yet no one, no one, has been put on trial for these heinous crimes. For the press to focus on Sander’s grotesque watch collection, for example, is to throw dust in people’s eyes. People need to look far beyond that but they seem to naive or unwilling to. I personally knew that corruption and thievery by those in communist power was a way of living in Yugoslavia. Just because Croatia became independent it did not mean thieves would disappear – lot of work needed to change the habits of communist Yugoslavia, Veronika – I agree with what you say. Well said Veronika. Zeljko’s comments are stock standard for Croatia. I heard the same rubbish a thousand times while I lived there. 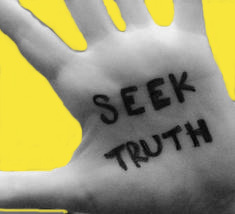 As Goebbels said, repeat a lie a thousand times and it becomes the truth. For Germans, it was the myth of being “stabbed in the back” by the Jews. 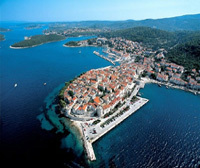 For Croatia, it is the myth that they were victimns of a massive plunder. Of all Zeljko’s rantings, the comment I found most offensive was the nonsense that the “people” won the war and not HDZ. Without Franjo Tudman, there would be no Croatia today. No SDP, no freedom, no democracy. It would be a grave yard. When it comes to murder and plunder only one party stands head and shoulders above all others. It was (is?) the Communist Party of Yugoslavia and its successor party the SDP. If one party needs to be expunged from political life in Croatia it is this party of evil along with its sister party HNS. In any event, SDP had years to turn Croatia around. It failed (not surprisingly) and so it is time for Milanovic & Co to leave. To blame HDZ, in particular Karamarko, for Croatia’s failure is utterly absurd and shows Zeljko, and those like him, are probably unhinged. ….what can be done, as a last pitch effort to STOP these damned communists, before the Croats become the newest “migrants” on the block?…where the hell is Mommy of Medjugorje and her son, God Junior?…the Croats have kept the faith for over 1,000 years, as well as the poor Iraqi (Chaldean Catholics), and now where is the thanks?